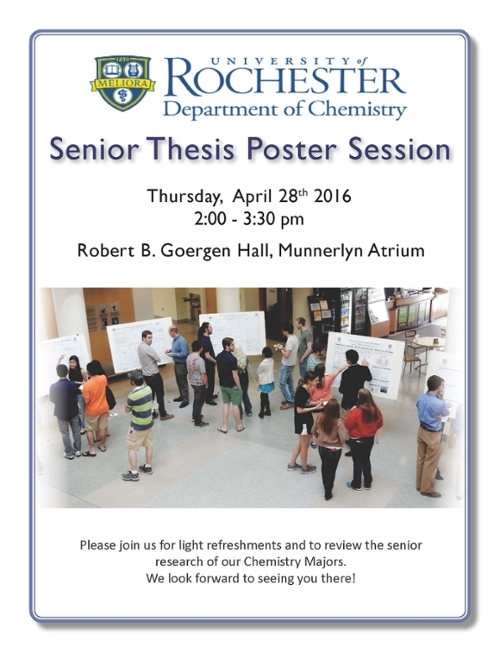 The Chemistry Department Senior Poster Session is an annual event which showcases chemistry majors and their senior research. Please join us for an afternoon of research and light refreshments in support of our seniors. All are welcome to attend!